NBA Rumors: Kobe Bryant, Pau Gasol Unhappy with Lakers’ Slow Start? Kobe Bryant and Pau Gasol are understandably ticked off these days. For all of the summer hype, and despite all of Metta World Peace’s bold projections, the Los Angeles Lakers currently sit at 0-2 and have not won a game since May. That’s right – this squad hasn’t won a single outing since Game 3 of last year’s semis. They lost two straight to end the year, all eight of their preseason outings, and now their first two regular season games. Forget the fact that they added two future Hall of Famers to the roster this summer, simply the fact that a team consisting of just Bryant and Gasol can’t get a single win in 12 tries is troubling. After the Lakers’ latest flameout, a 116-106 loss to the Portland Trail Blazers, Bryant acknowledged that he wasn’t feeling particularly positive anymore. "It&apos;s going to be a little edgy because I&apos;m not a very happy camper around here right now," he said (via ESPN). "Some things we have to shore up, and we gotta make sure we keep a sense of urgency." Gasol, this team’s co-captain, expressed similar displeasure with how the new season has started. "We just can&apos;t allow a team to score three quarters over 30 points," Gasol said. "It can happen one quarter, maybe. If that. But not three quarters in a row, where a team puts up those kinds of points on the scoreboard, and expect to win." Not everyone took the glass half empty approach, though. "You see flashes," Mike Brown said. "You see flashes of us moving the ball well. You see flashes of us cutting well. You see flashes of us cutting well. Even defensively, at times, we&apos;re doing the right thing, but we haven&apos;t put it together for 48 minutes and I talked to the guys about that. We have to put it together for 48 minutes in order to be good in this league, and right now we&apos;re not doing it. Especially defensively." Well, they better start doing it. Sure, you can excuse away two losses to the Oklahoma City Thunder in the semis. And you can dismiss eight consecutive preseason defeats. And you can justify two straight regular season embarrassments. You can do all of that stuff. But that doesn’t change the fact that all of those losses, combined, are not the same thing as if they had just happened in individual bursts. Something is wrong with this squad and, for their own good, their leaders and/or coaching staff better figure out what it is. Fast. NBA Rumors: Pau Gasol Wants to Ditch Lakers, Kobe Bryant for Bulls? NBA Rumors: Lakers, Kobe Bryant Considering Trading Pau Gasol to Timberwolves? 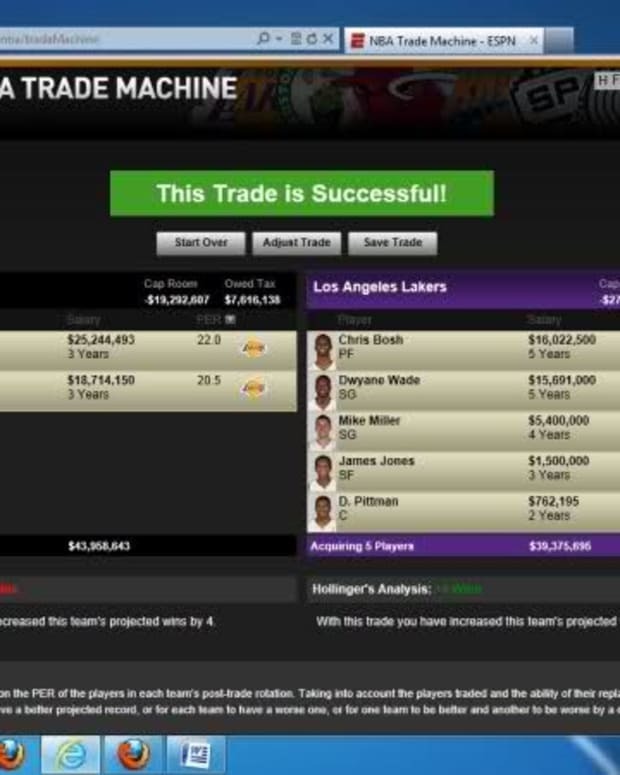 NBA Rumors: Lakers to Trade Kobe Bryant, Pau Gasol for Heat’s Dwyane Wade, Chris Bosh? NBA Rumors: Lakers, Kobe Bryant Want to Trade Pau Gasol for Kevin Garnett? NBA Rumors: Lakers, Kobe Bryant Want to Trade Pau Gasol Back to Grizzlies?